Visitors to Canada will have to submit a digital photograph and fingerprints and when they apply for a Work Permit, Study or Visitor Visa. Canadian High Commission issued a press release that this will be applied, effective 11th December. The press release said that this new requirement will help protect the security and safety of Canadians and also help facilitate legitimate travel. This requirement will also safeguard prospective visitors by making it much difficult for others to use, steal or forge an applicant’s identity to visit Canada. 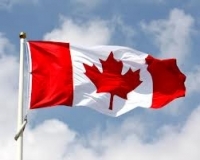 With this new requirement, Canada will be along the lines of other countries which are already gathering this visitor information, including the United Kingdom, the United States, Australia, Japan and a few countries in the Schengen Zone. In due course, this information will help in entering Canada easily by producing a reliable tool to readily confirm the identity of a person. The press release also mentioned that, to submit an application, digital photograph and fingerprints, applicants need to visit a VAC (Visa Application Center) in person. To collect the fingerprints and digital photograph, a new fee of CAD 85 is levied which includes VAC’s application services. Family members applying for a visitor visa need to pay a maximum fee of CAD 170. People who are exempt from the submission of Fingerprints and Digital Photograph are: applicants over the age of 79, under the age of 14, Government Officials and Diplomats travelling on official business. As per the press release, when a visitor arrives at a port of entry in Canada, a Canadian border services officer will use this information to confirm the identity of that person.